A wonderful way to jump-start your day is to eat a healthy meal for breakfast. 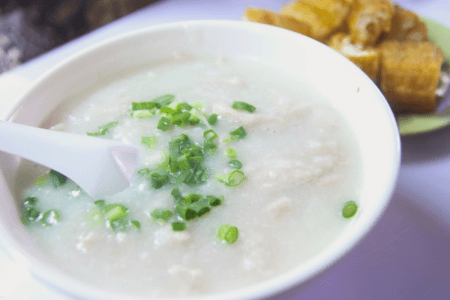 Aside from healthy sandwiches and fruits, porridge and oatmeal are great options that are not only for health-conscious individuals, but also for athletes and weight trainers. 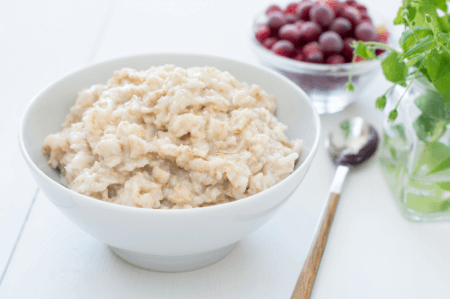 Most of the time, the terms “porridge” and “oatmeal” are interchangeably used. Are they really the same? This article will discuss the difference between the two. The term porridge applies to any hot and mushy cereal made from vegetables, legumes, or grains (e.g. rice, corn, quinoa, or rye). It is prepared by boiling the ingredients in hot water, milk, or a combination of both until the consistency becomes very thick. Sometimes sweeteners like sugar, chocolate and honey are added. In some countries, spices and herbs are also added for flavor. Oatmeal, on the other hand, is a kind of porridge that is made specifically with ground, rolled, or steel-cut oats. Nowadays, instant commercial oats are available to take the place of the ones that have to be cooked in a traditional manner by boiling oats in water and/or milk. Fruits and nuts are usually added to oatmeal to add taste. Oatmeals are not always served hot. What, then, is the difference between oatmeal and porridge? Porridge is a general term that refers to any hot cereal made from vegetables, legumes, or grains. On the other hand, oatmeal is a type of porridge specifically made from oats. Therefore, it is safe to say that oatmeal is a porridge, but not all porridges are oatmeals. Additionally, oatmeal is cooked by boiling oats in water and/or milk and then served with nuts or fruits depending on your taste. It can also be prepared using instant oats and does not always have to be served warm. Porridge can be prepared using the same technique (boiling the ingredients in water and/or milk) but other flavorings like spices, herbs, sugar, honey, and chocolate may be added as well. Porridges are best when served hot.